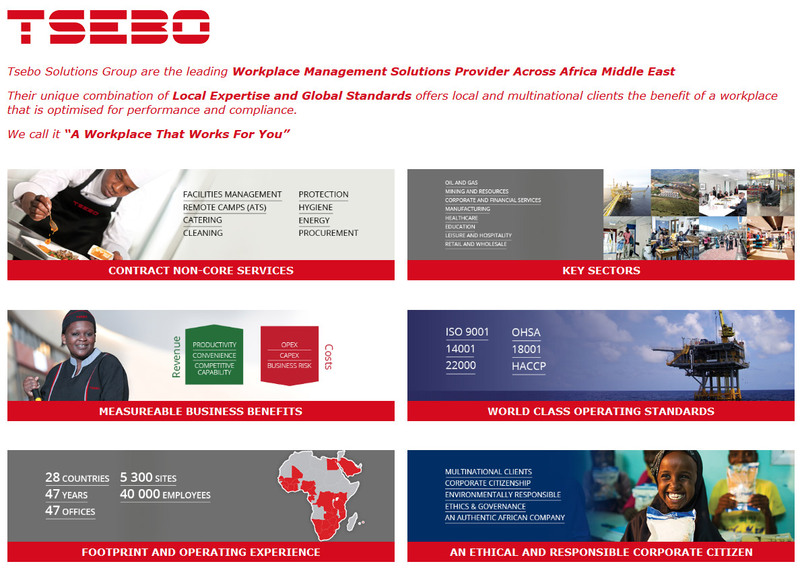 The Tsebo Solutions Group is committed to running its business in a responsible manner so that impact on the environment is minimised and the wellbeing of all stakeholders, including the environment, surrounding communities and employees, is ensured. Activities in this regard include staff training, operational processes, inputs used and products marketed. Sustainability in our commercial relationships is always actively encouraged.